I finally got the opportunity to put your gun in the water. It is beautifully weighted and easy to use in every regard. 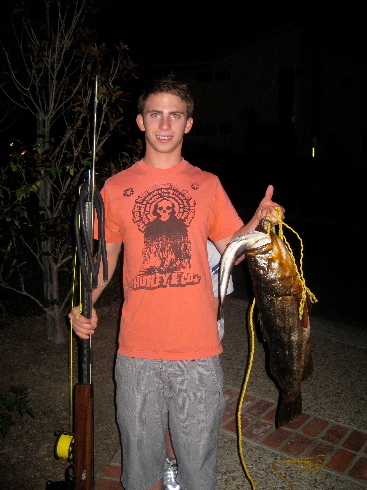 I used the 9/32 shaft with two bands to shoot this toad calico. I got it from 15 feet without a problem. The fish came in at 5 lbs and 21 in. I hope all is well with you. Thanks for getting it out so fast. I have been kind of swamped with schoolwork lately so I haven't had time to give you an update, but your gun has been serving me very well. 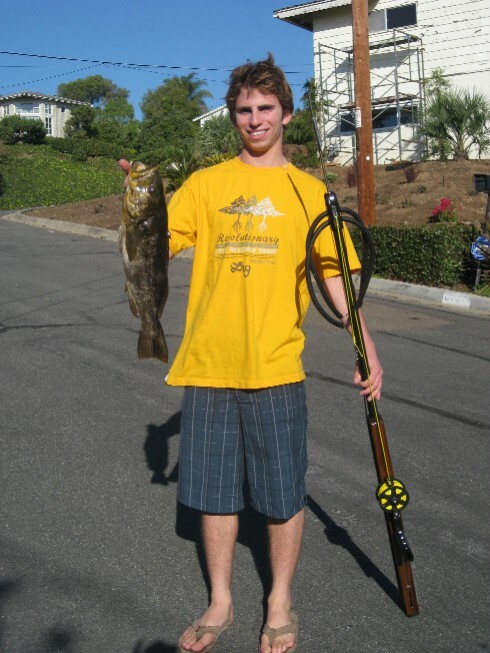 A month ago it even landed me a 12 lb, 29', calico bass! If you want to check it out, I made myself a video setup and have been posting dive videos on youtube under the username flatr0ck. So far I have one sheepshead video up, which, thanks to your gun, got hit square through the gillplate. It was kind of slow down here too for a bit but it picked up again for my dive yesterday. 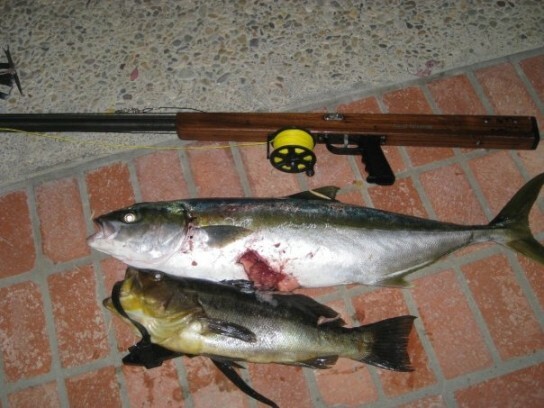 Your gun has been serving me extremely well, and Ive landed a total of 17 yellowtail over this summer. The remarkable part of the summer is I got all of my fish on the edge of the La Jolla kelp, and probably used less than 10 gallons of gas for the entire summer! 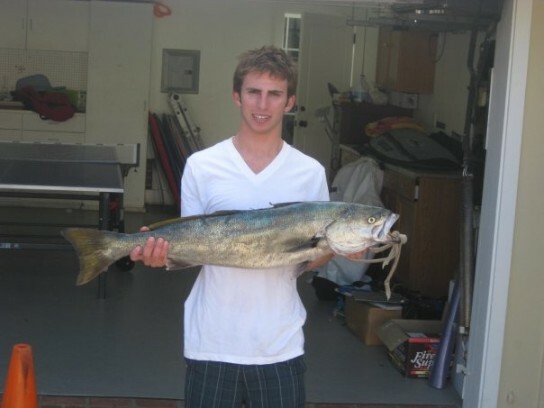 Unfortunately, I was too lazy to take pictures of the more average sized yellowtail, but Im attaching photos of yesterdays fish (29 and 24 lb yellowtail pic taken at night), my first big pair off my kayak (26 and 24 lb yellowtail taken during daylight), my first yellowtail of the season/ever (17 lb yellowtail gut shot pic taken at night), and my first halfway respectable wsb. Thanks for everything, Daryl. 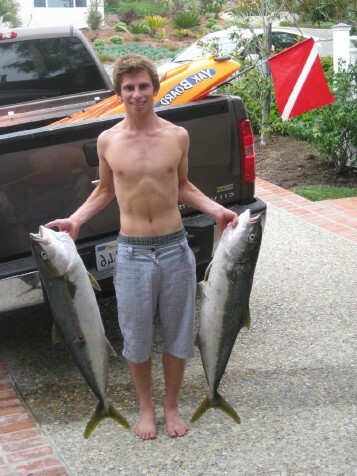 If you ever find yourself in San Diego, contact me and well fill my little RIB with trophy yellowtail. Hope everything is going well with you. Have you been getting out much lately? 1. 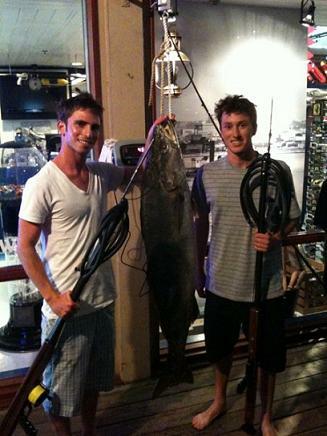 John and I weighing my first fish (45 lb). 2. 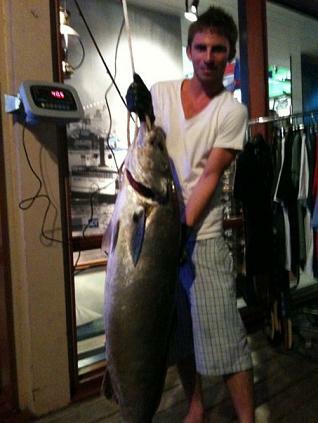 Me weighing my first fish. 3. 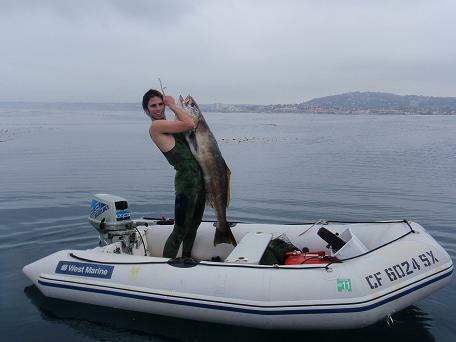 Me on my RIB with my fourth fish (no official weight aprox. 50 lb).